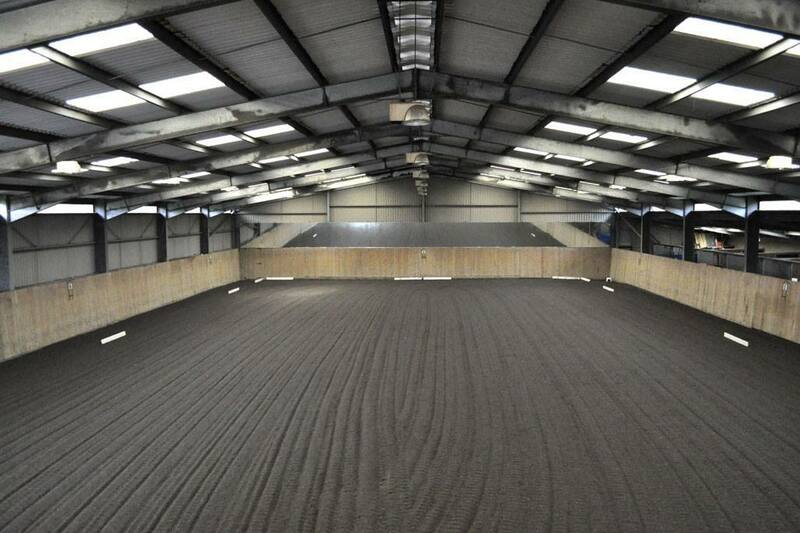 Make sure you have a slight inside bend when going large around the arena. This make it much easier to start turns and circles. 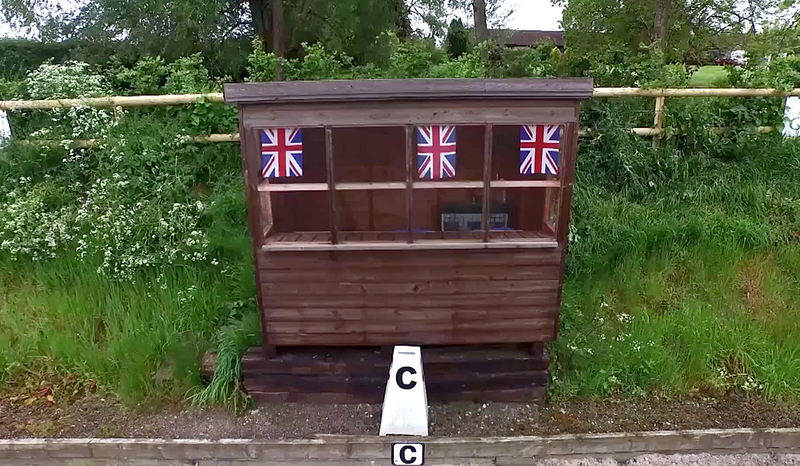 Additionally, when a horse is perfectly straight and it is moving down the long side away from the judge it can look like outside bend when viewed from the C position. Just before all turns create the bend you need for it. For example, when turning left or right at C after coming up the center line, at approximately G create the bend and then make the turn. Create the bend and start turning. 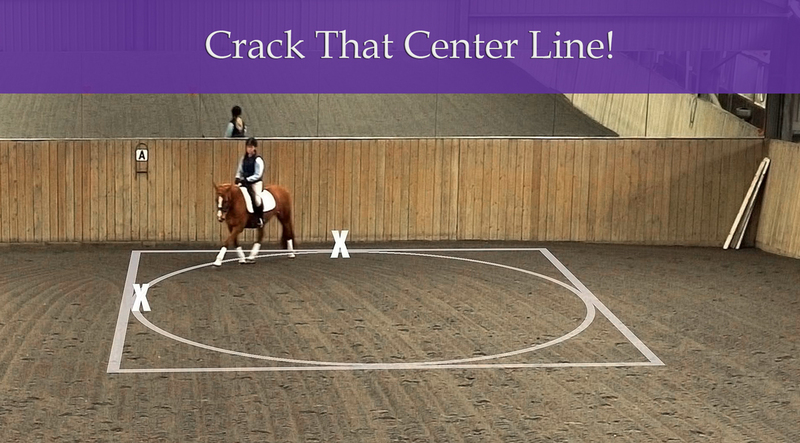 There is nothing worse than coming straight up the center line, and then your horse stiff necking it around the corner or looking confused as to which way it is supposed to turn! 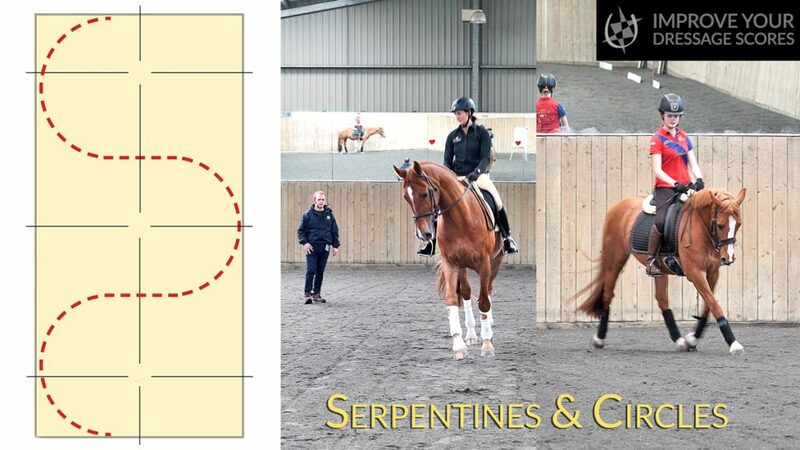 Improve the accuracy of your circles and turns, learning the amount of bend needed for each one. Make sure you treat a circle like a series of turns which happen one step at a time. 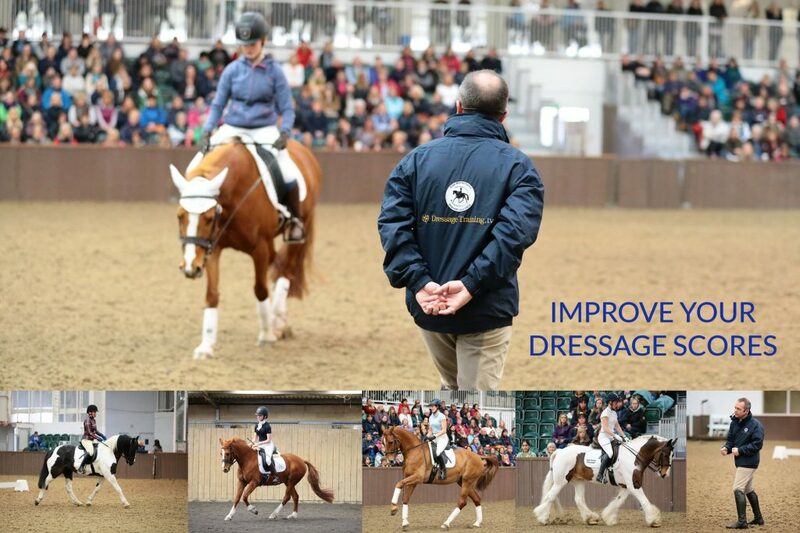 Each time the inside foreleg comes forwards it is making a short step to the inside – this requires focus. A lot of riders will start the turn for the circle and then drift a while. Making a good shape requires focus from moment to moment. 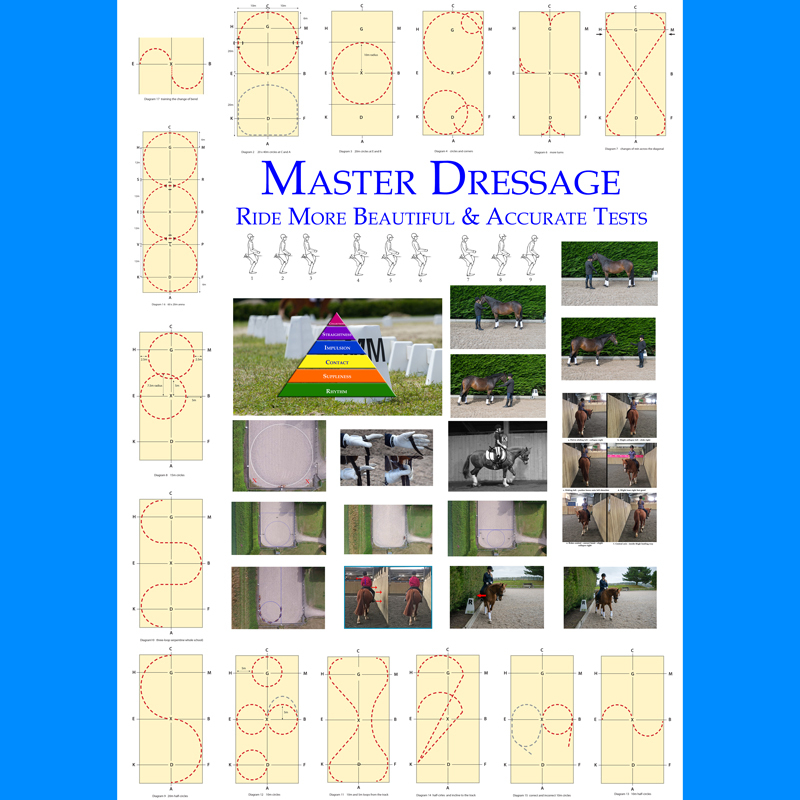 Download first few pages from the chapter on accuracy, from the first edition of dressage training book Master Dressage– Start Of Accuracy More details below on my new book Master Dressage 2nd Edition designed from start to finish to dramatically increase your marks through accuracy, fluidity, understanding, practice and review. 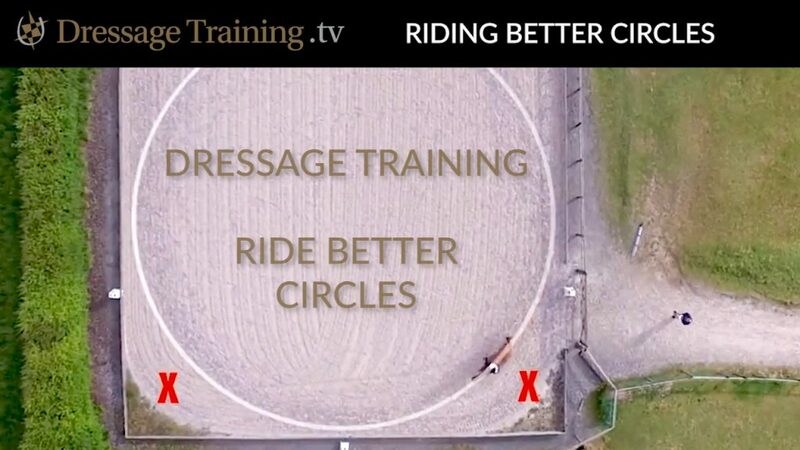 Join Dressage Training TV to watch IMPROVE YOUR DRESSAGE SCORES; an entire in-depth course where you can watch and engage with online webinars or watch the recordings of the sessions at your leisure, as well as lots of other courses too. Find out more here.